Thank you for an empowering #GirlConnected screening and panel! We are inspired by our thoughtful conversation on how gender stereotypes constrain girls’ and women’s potential, and how we as a global community can support girls to transcend them. 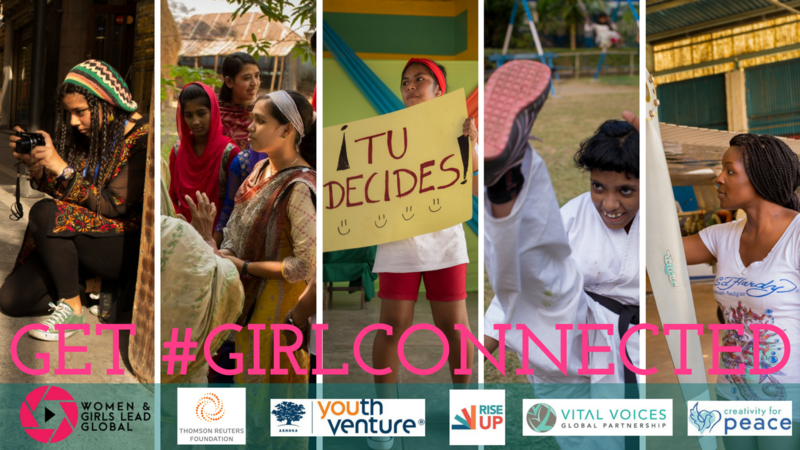 If you didn’t get the chance to watch the Girl Connected film it is available for free online, along with the Girl Connected Engagement Toolkit. The non-profit organizations that Yaara and Michelle are involved with, Creativity for Peace & Akili Dada, are both featured in Wonder Girls: Changing Our World, a new book out from PowerHouse Books & written by Paola Gianturco. Wonder Girls profiles girls age 10-18 who are leading change around the world. Check out the book here! Let’s keep the global conversation going! Talk with boys and men in your life- your brother, best friend, dad, uncle, grandfather, cousin, neighbor, etc.- about how they may be inadvertently perpetuating stereotypes and encourage them to become champions of gender equality. “When women enter politics, they make a difference. So why are so few in the highest ranks of power?”– Check out this interesting article from our moderator, Belinda Goldsmith. “Stereo” by Ella Fields is “a film about reversed gender stereotypes”. “My Heroes” by Alexander Day & Brian Carufe challenges gender stereotypes this Halloween.